This weekend is Ferragosto, the day of the Assumption, which is a national holiday in Italy. So we have decided to spend the whole weekend in Mugello, the green valley to the north of Florence. 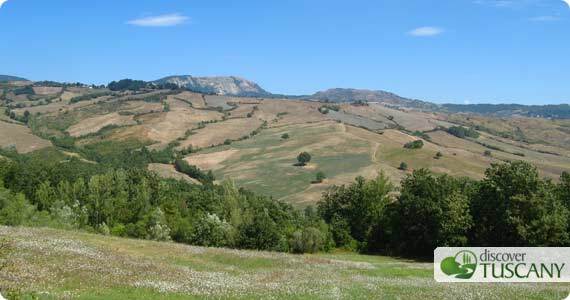 On Saturday we’ll go to San Godenzo, a small village on the border with Romagna. At the Cultural Center Enrica Rainetti in the fraction of Castagno d’Andrea is an interesting art show of the Macchiaioli, a style I love. Here the painter Giovanni Fattori lived for a few years and painted the famous “The livestock market in San Godenzo” displayed at the Palatine Gallery in Florence. The exhibit “Life of a collection, collection of a life” showcases 77 masterpieces by Giovanni Fattori and other great painters from the Macchiaioli movement. Since we are nearby, we’ll enjoy typical dishes of the Mugello valley at the famous Tuscan restaurant Da Sergio, also known as “the general”, in Dicomano. For the evening, we’ll move on to Borgo San Lorenzo, which will be celebrating its patron saint with a festival with food, music and a night market. On Sunday, August 15th we’ll go back to Dicomano, first to visit the flea market open all day in the center, then for the chance to visit the archeological area of Frascole which is normally closed to the public as excavations proceed. It will be especially open on this one day, with guided tours being offered between 10am and 12pm and from 4 to 7pm. I also want to visit the Archeological Museum of the Mugello which preserves Etruscan and other finds from all the valley. For dinner, I am not sure where we’ll go but we’ll surely have watermelon afterward to respect Italian custom of eating this summer treat on this day, the day of the Assumption of the Virgin.